Rick Garner – GM, Founder PRO SPORTS EMS, LLC. Since that time Rick’s managed the game day EMS programs for the NBA Phoenix Suns, NHL Arizona Coyotes, AFL Arizona Rattlers, The Fiesta Bowl, College Football National Championship Games, Top Rank Boxing Events, MMA events, and Arizona State University’s Football and Hockey programs. 1) The potential for serious injury. Think about it, you have these great athletes flying around on a sheet of ice carrying sticks and banging into boards with blades on their feet, while a frozen rubber projectile is flying around the ice at 100 mph. The potential for various types of blunt trauma and lacerations is like no other sport. 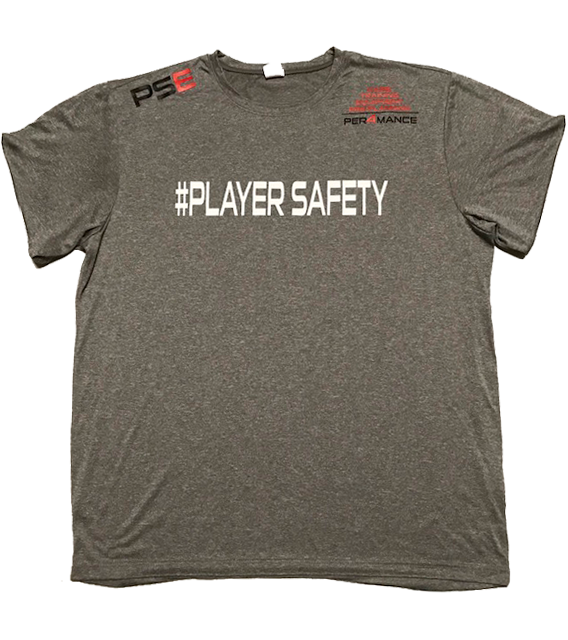 2) The players. 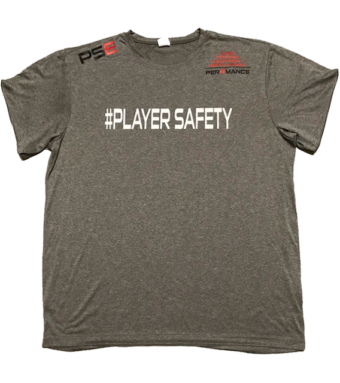 The players we’ve had the chance to meet and work around are a lot like firefighter’s. A fire station is a very special place, and a professional hockey locker room is very similar. Our group enjoys being around that type of environment, and working with that group of professionals. 3) The Sports-Med staffs. As fire based EMS paramedics, we can appreciate a commitment to EMS excellence, and Emergency Medical Preparedness. The Sports-Med staffs of professional hockey have a similar commitment to provide the very best EMS care for their teams, and it’s very rewarding for us to work with such a great group of professionals. Since 2014 professional hockey’s experienced 2 game time cardiac arrest events. Both players survived their event neurologically intact. The response and treatment provided by the Sports-Med team’s during these events contributed to the positive outcomes of both patients. Board Certified Emergency Medicine Physicians who specialize in sports EMS care. 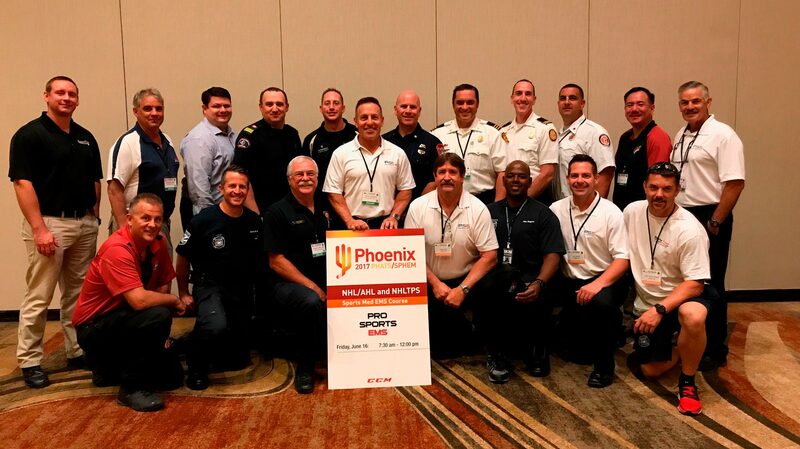 Fire Based EMS Paramedics-First Responders who stand-by and provide the EMS care for the players during professional sporting events. Our Sports Med Team Based EMS training program improves the EMS skill set of each Sports Med Team member, while teaching the Sports Med Team to work together as one during medical emergencies. Firefighters and First Responders utilize this philosophy on a daily basis while responding to, and facing medical emergencies. This same concept is taught to Sports Med Teams using hands-on training sessions during specialized EMS scenarios. At the conclusion of the training, everyone has a role and knows the play. Travel EMS - Management of In-Flight medical emergencies. 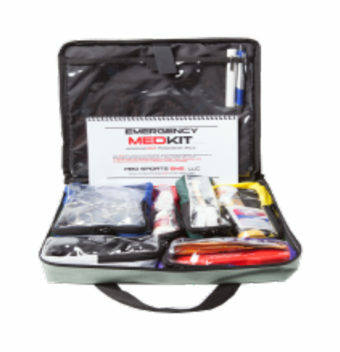 After a medical emergency happens is not the time to get prepared for it. The SportsBoard 7.0 has been designed so the hand gripssit up above the playing service for easy access. 1 Set of 4 Speed Clip Straps. It’s a snap to install the Pro Lite® Head Immobilizer. It’s made exclusively for the PRO SPORTS EMS / Pro Lite® spine boards. It’s fast, simple and effective. Snap it on and snap it off. 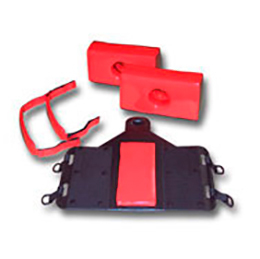 The base plate is made of a HDPE high-density molded plastic that is impervious to fluids. Closed cell foam construction of the pillows and straps provides excellent support and comfort to the patient. Plastic coating is waterproof and cleans and disinfects easily. The pillows have large ear holes to aid in monitoring patient’s blood loss or fluid drainage. No metal parts are used in any of the components. The entire set up weighs less than 2 pounds. 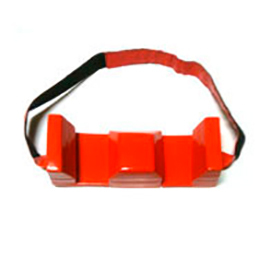 The Pro Lite® Head Immobilizer may be stored while attached to the backboard. If removing the head immobilizer from the backboard, pop the side out first. Do not pull back on the top to remove. Make sure your athlete is secured from head to toe with our quick and easy leg immobilizer. 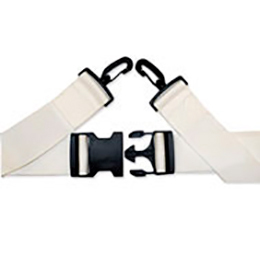 Constructed of 2″ white polypropylene, each strap is a 2 piece 5′ section that attaches with a Loop Lock™ system. The straps connect with 2″ plastic side release double adjusting buckles. 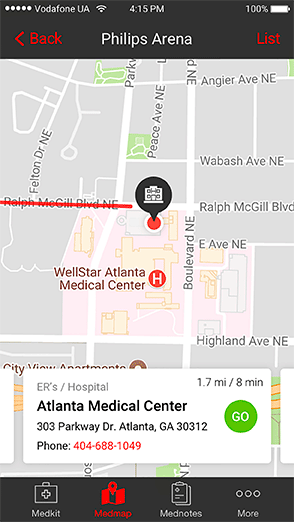 On your mobile device MEDMAP will quickly find and direct you to the closest Hospital Emergency Rooms, Trauma Centers, and 24 hour Pharmacies located closest to the arena, stadium, or sporting event you are attending. It provides mapping directions, distance, time of travel, and telephone contact information. 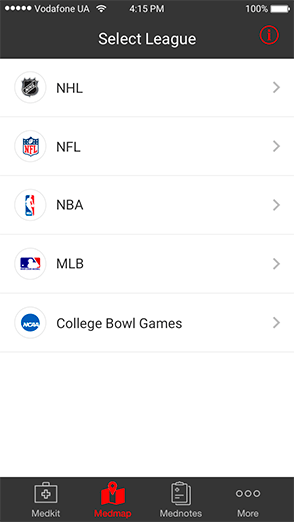 MEDMAP currently covers all NHL, NBA, NFL, MLB, and College Bowl Game venues. 1) An AT/Team Physician working relationship similar to that of a Paramedic’s relationship with their Medical Director/Medical Control. 2) The ability for the AT to contact emergency medical direction in the event a medical emergency happens while the team’s in-flight or on the team bus between cities. 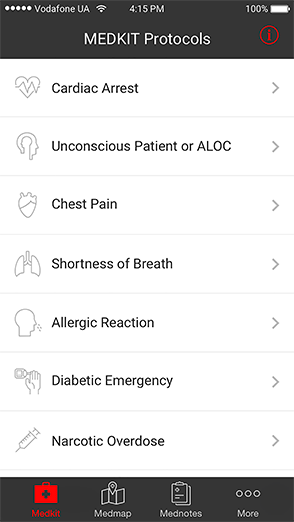 In the MEDKIT section of the PSE App the treatment protocol for Witnessed and Un-Witnessed Cardiac Arrest are provided for free. The PSE Premium section provides the user with access to all of the MEDKIT’s treatment protocols; Chest Pain, Difficulty Breathing, Allergic Reaction/Anaphylaxis, Diabetic Emergencies, Narcotic Overdose, and Seizures. PSE Premium also provides access to proper EKG Placement Information/EKG Rhythm Samples, Drug Profiles, a list of Common Oral Medications, and an Electronic Patient Documentation Form which can be filled out, saved, and sent via text or email. MEDNOTES is included with PSE Premium and provides users with an area to save medical incident information, or personal notes that can be referenced later. The information contained in MEDNOTES is secure and can be saved, sent by text, email, and/or deleted if needed. What a great journey life is – In 2011 I was in Bandon Oregon on what my dad and close friend Dave call “The Bucket List Golf Tour” while in a small clubhouse I came across a picture of Mark Twain that included the following quote. “Twenty years from now you will be more disappointed by the things you didn’t do than by the ones you did do. So throw off the bowlines. Sail away from the safe harbor. Catch the trade winds in your sails. Explore, Dream, Discover”. Mark Twain’s message that day has stuck with me, and I believe there was a reason I took the time to read it without just walking by. Here I was on this golf trip of a lifetime and I realized there would have been great disappointment in my life if I hadn’t made the time to take this trip with my dad and close friend. I soon also realized I would be equally disappointed if I didn’t use the gifts and opportunities I had been given to help out some kids who could really use it. Kids and families that needed a break, a helping hand, whatever you want to call it. Devine Intervention. This message was a real game changer for me. It came through loud and clear. Make a Difference! Game Day CHAMPS is a community outreach program that is focused on helping some of our youth deal with the adversity they are faced with. Adversity that may have presented itself through illness, personal loss, addiction, or some extreme physical challenge. It doesn’t matter. The bottom line is the adversity our champs are faced with were not self inflicted or deserved, it’s just the hand they have bean dealt. These kids and families need an opportunity to have some fun, and to get excited. We would be privileged to help these special people get there. There is no way we could do this alone. Our Game Day CHAMPS Community Partners will be playing a key role in making this all happen. We have been extremely fortunate to be connected with some incredible youth programs who are focused on helping kids deal with the difficult situations they are in. These individuals, businesses, and hospitals are shining stars in the community, and their kids are the real champions. If we can assist these special people in getting some of their kids and families to a pro sports venue to see a game, have fun, get excited, and just get away from their current situations for awhile then maybe we can make a difference in their lives. That’s our goal, and we believe anything is possible. Feel free to contact us using the form below with any of your comments or questions. We will try to respond quickly to all legitimate contacts. 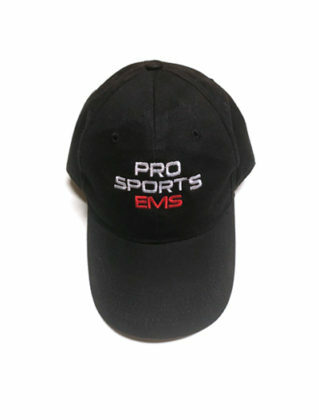 Pro Sports EMS, LLC. 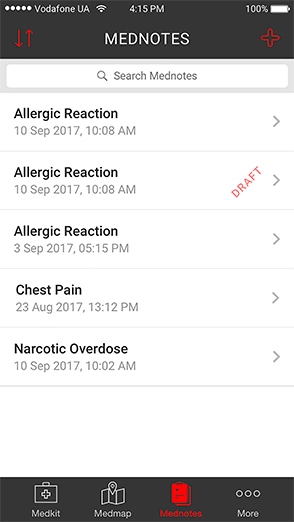 built the Pro Sports EMS (PSE) app as a Freemium app. 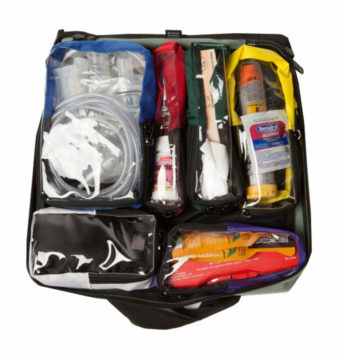 This SERVICE is provided by Pro Sports EMS, LLC. at no cost and is intended for use as is. 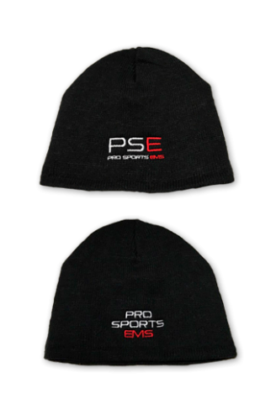 Welcome to Pro Sports EMS, LLC. These terms and conditions outline the rules and regulations for the use of Pro Sports EMS, LLC.’s website. Pro Sports EMS, LLC. is located at: 3655 W Anthem Way, Suite A109-343, Anthem, Arizona – 85086, USA. By accessing this Website, we assume you accept these terms and conditions in full. Do not continue to use Pro Sports EMS, LLC.’s website if you do not accept all of the terms and conditions stated on this page. The following terminology applies to these Terms and Conditions, Privacy Statement and Disclaimer Notice and any or all Agreements: “Client”, “You” and “Your” refers to you, the person accessing this website and accepting the Company’s terms and conditions. “The Company”, “Ourselves”, “We”, “Our” and “Us”, refers to our Company. “Party”, “Parties”, or “Us”, refers to both the Client and ourselves, or either the Client or ourselves. All terms refer to the offer, acceptance and consideration of payment necessary to undertake the process of our assistance to the Client in the most appropriate manner, whether by formal meetings of a fixed duration, or any other means, for the express purpose of meeting the Client’s needs in respect of provision of the Company’s stated services/products, in accordance with and subject to, prevailing law of USA. Any use of the above terminology or other words in the singular, plural, capitalization, and/or he/she or they, are taken as interchangeable and therefore as referring to same. Unless otherwise stated, Pro Sports EMS, LLC. and/or it’s licensors own the intellectual property rights for all material on Pro Sports EMS, LLC. All intellectual property rights are reserved. 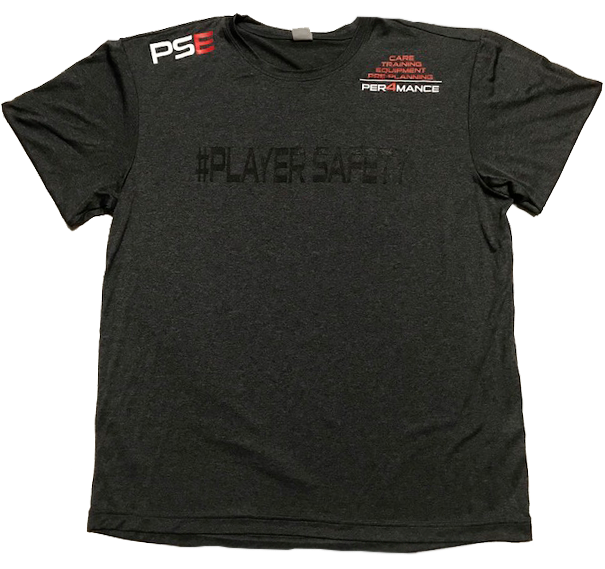 You may view and/or print pages from http://www.ProSportsEms.com for your own personal use subject to restrictions set in these terms and conditions. 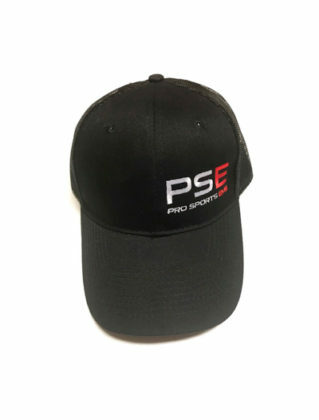 Republish material from http://www.ProSportsEms.com, Sell, rent or sub-license material from http://www.ProSportsEms.com, Reproduce, duplicate or copy material from http://www.ProSportsEms.com, Redistribute content from Pro Sports EMS, LLC. (unless content is specifically made for redistribution). Government agencies; Search engines; News organizations; Online directory distributors when they list us in the directory may link to our Web site in the same manner as they hyperlink to the Web sites of other listed businesses; and System Wide Accredited Businesses except soliciting non-profit organizations, charity shopping malls, and charity fundraising groups which may not hyperlink to our Website. 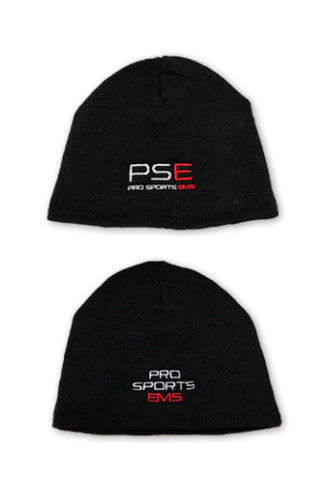 If you are among the organizations listed in paragraph 2 above and are interested in linking to our website, you must notify us by sending an e-mail to info@prosportsems.com. Please include your name, your organization name, contact information (such as a phone number and/or e-mail address) as well as the URL of your site, a list of any URLs from which you intend to link to our Web site, and a list of the URL(s) on our site to which you would like to link. Allow 2-3 weeks for a response. No use of Pro Sports EMS, LLC.’s logo or other artwork will be allowed for linking absent a trademark license agreement. The PSE mobile App is a freemium App created for adult users (18 years or older). The PSE App has 2 sections; 1) Free, and 2) Premium (IAP subscription). The Premium section requires a yearly IAP/subscription fee to gain access. The subscription fee amount could change after the initial 12-month subscription period. 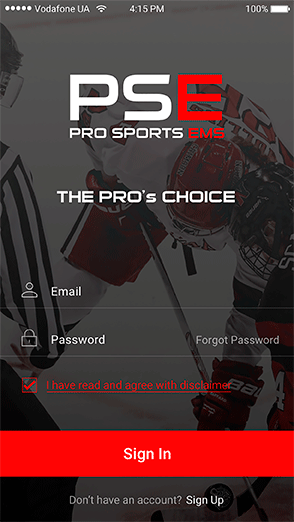 PSE App users have the option to utilize only the free portion of the App, and/or download the IAP Premium subscription section as well. PSE, its’ officers, employees, or volunteers are not responsible for any issues involving the accuracy of content provided within the PSE App, or for any perceived or claimed damages personal or otherwise from using the App. 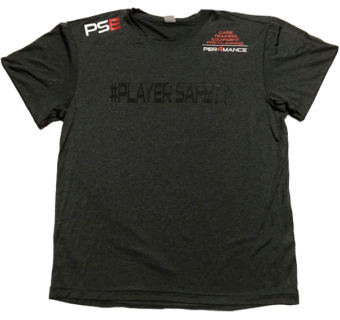 All users of the PSE App use the PSE App at their own risk.